With Google changing the way websites advertise on the web, many companies have galvanised their businesses by investing significant amounts of money into Google’s Adwords platform to rank above their competitors and turn clicks into conversions. 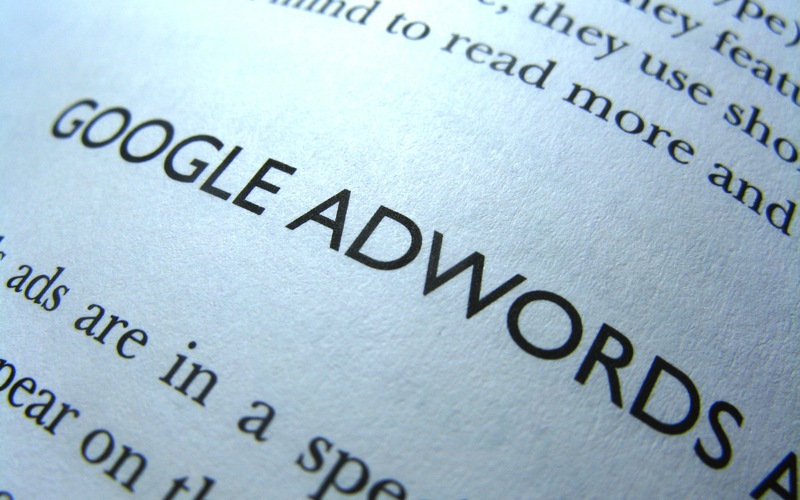 However, a study by Internet research firm Miratech suggests advertisers should not focus on out-bidding their competitors to rank top of Google’s sponsored listings, for second position gets more attention than the top ranked listing, coming in second to only the top link listed in the organic search results in terms of time spent looking at listings. The results of the study, which were captured over two independent tests for complete confirmation, show that for users look at the second sponsored advert more when the search page shows two or more sponsored listings at the top of the page. 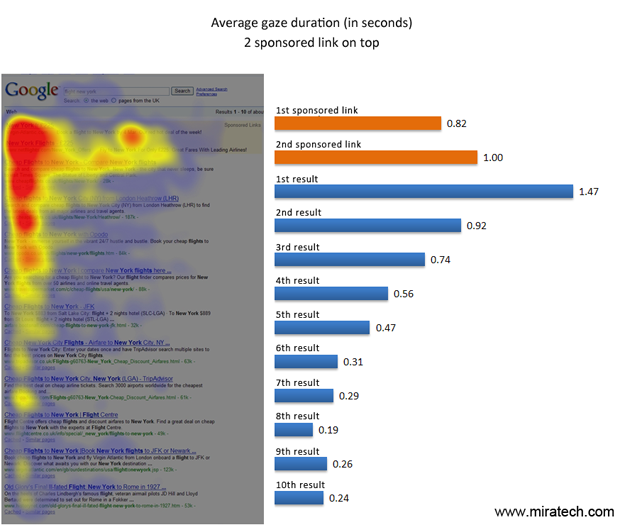 Miratech’s results show when two sponsored listings are visible, users gaze at the second result for around one second, with the top ranked result receiving 0.8 seconds of attention. When three ads are displayed, the second placed ad receives more attention with users gazing at the ad for an average of 1.3 seconds. In contrast, the top placed ad receives 0.91 seconds of attention, a tiny amount more than third position with 0.90 seconds. When the page only contains a single sponsored link, this becomes the third most looked at element after the first two organic links. This shows that Google users are accustomed to viewing organic results in the order they are arranged, typically trusting the quality of Google’s algorithm and the links it delivers. Additional tests show that the first result is looked at 1.6 times more than the second. The experiment was conducted using eye tracking technology and sampled 24 participants (9 French, 7 Japanese and 8 Americans) for the first test and a sample of 20 users (10 French and 10 Americans, no Japanese) for the second.